Having been through several grueling job searches, I’ve found one of the most tedious and time consuming aspects is simply keeping everything straight. Rather than fumble with a nightmare of folders, Word files, and contacts entries to organize myself, I’ve turned to notes service Evernote. 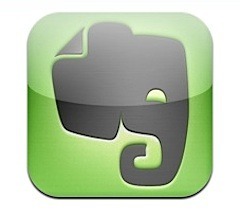 With Evernote, I can track my progress applying to jobs and make notes on jobs in one place. Plus, the service syncs between devices and is available in many platforms. I’ve used it on Windows, PC, and several Android phones from T-Mobile. For each job posting (including “hidden” jobs) that catches my eye, I’ll create a note for it. This note then serves as a one-stop-shop for this particular position. Note Tile: I use the same syntax for each job. Date created in 00/00/0000 format, job title, and company name. This way, I can quickly view jobs according to how long ago I found them, and act accordingly. To Do List/Progress: For all progress made, I will include the date of the action. This is vital for gauging when to do any follow up actions or giving up. Plus, when you’re applying to dozens of jobs, it can be harder than you’d imagine to remember which online applications you’ve already filled out. Contact Info: Include the usual stuff like addresses and phone numbers, plus any names of employees you know or will be contacting. Job Information: I paste the URL of the job posting ,and possibly some or all of its text (Tip: Use text-only paste to avoid formatting headaches). I emphasize being able to see the original posting so you can use its keywords in your application. Personal Notes/Observations: What I write here is fodder for answering “why do you want to work here,” for explaining what I can bring to the job and for developing intelligent questions. Phone Interview Notes/Questions to Ask: This one is closely related to the above. Files: Personally, I keep my files in a Dropbox folder, but you may find it more convenient to keep relevant files attached to the job search note. I recommend using at least two folders to organize your job application notes. I’ve used a “Job Postings” folder for grabbing info the moment I find a job, and an “Applications in Process” folder for jobs I’m committed to applying for. When you give up on a particular job (ie you haven’t heard back in a few weeks), you can trash the note or place it in an “Archives” folder. Either way, it’s out of the way. I highly recommend installing the Windows or Mac client and learning how to use it efficiently. Creating check lists and formatting text into more readable bullet lists is far less tedious when you know Evernote’s keyboard shortcuts. About the author: Ashlee McCullen is a staff writer for Apron Addicts, a website about kitchen fashion and home style. She also writes about mobile technology and self-improvement. Next You Don’t Like My Resume? But Why? ?